I’ll never forget the look on my poor mom’s face as she had to pass tests from the OT & PT before they could release me from the hospital & into her care following my accident. She had to assist me into fake cars, up flights of stairs, onto toilets, etc. and if she couldn’t, I’d have to go to a rehab facility, which I did NOT want to do. I have a memory of her concerned face as she watched me suffer through each task, with her hands assisting me, permanently sketched in my brain. In hindsight, I can’t believe I had the ability to notice HER experience through my own but I’m always so connected to hers’, as she is to mine. 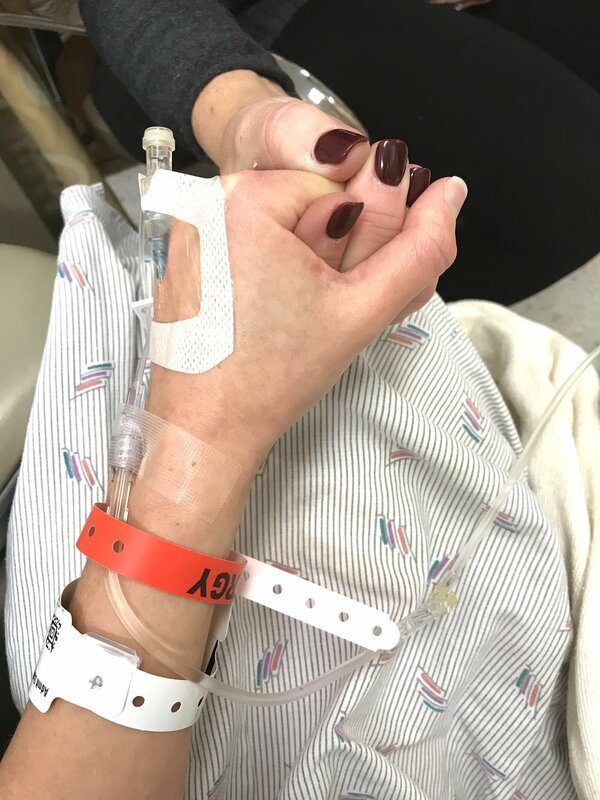 Our mother daughter connection is so strong that we feed off of each other a lot, which is both so healing and also so painful during recoveries (thankfully this recovery will be a tiny one). Which means that she suffers almost as much as I do during these times. I know that she has as many horrible memories from this hospital as I do..hers are just memories of my screams in her ears instead of screams in my lungs. The flip side of our connection is that I know that she’ll be able to comfort me in a way that only she and Jay are able to. There’s just something about the comfort from your mom that never goes away. We’ve come a long way from those practice round days years ago...we have systems (so.many.systems) in place, wayyyyy more serious surgeries under our belts (seriously, this is a joke), and a puppy waiting for us at her house. My connection with the best mother-turned-nurse remains the same though and I’m eternally grateful.